Removable and washable at 60 degrees cover with choice between four different types of cover. Removable and washable at 60 degrees cover with anti static treatment. Viscofoam Waterlily 7 cm, Thickness 20 cm, Very soft from the upper side, middle hard/soft from the other. 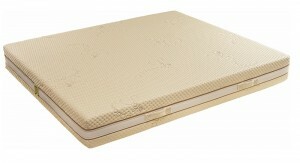 Mollyflex is Italian brand for mattresses, pillows and sleep accessories. All products are 100% made in Italy and have 10 years warranty term. Mostly of the mattresses in the collection are made from memory foam and have luxurious and washable removable zipper covers. 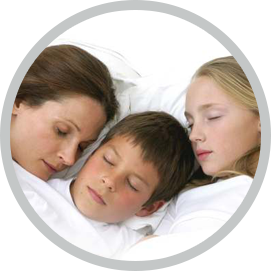 We are confident that healthy and comfort sleep is due to a great extend of mattress we have in our bedroom. Good sleep in on hand is responsible for the energy we have during the day and in other hand makes us healthy and helps our body to be in good conditions. Good quality mattresses like Mollyflex, are designed according to latest developments in the world of sleep and have best characteristics and technical specification needed to ensure best comfort. When you choose our mattresses and pillows , you receive modern and unique products for your perfect sleep and healthy relax when using them! !